yeah, i’ve never been this obsessed with anyone’s cupcakes. 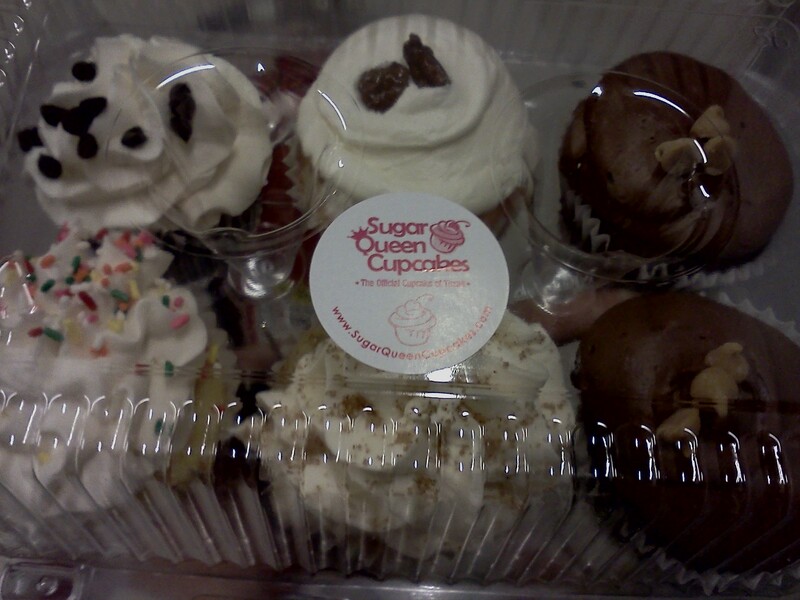 sugar queen cupcakes are cupcakes i want to eat for breakfast, lunch, and dinner. i love how dense and moist their cupcakes are. but these cupcakes weren’t for me. they were someone’s special surprise a few days ago. the papyrus holiday cards have arrived! and the HANDMADES are prettier than ever!! i’m so stoked! guess which one in that picture i will be getting! i love our papyrus handmade boxed sets. 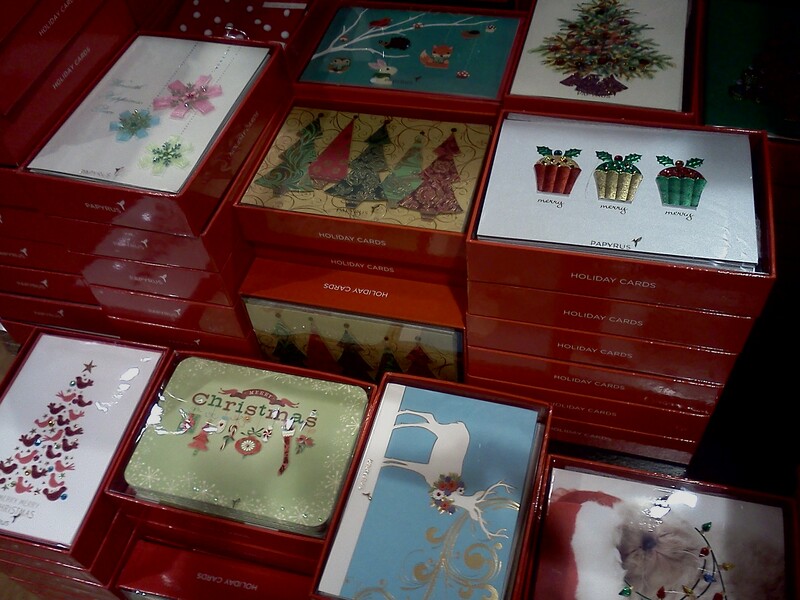 they come in a box of 8 cards and lined envelopes for $24.95. they can have anything from felt cutouts to gems, laser cuts, glitter, ribbons, and more. i had the picture enlarged so y’all could see the embellishments on the cards. enjoy. i had a nice and relaxing past few days. it’s rare that i don’t think about doing work when i’m at home, so the past 2 days felt like a semi-vacation, which was nice. my dad would get a kick out of the fact that i probably watched more sports in the past 2 days than i have in the past year. that’s probably including the movie “moneyball” that i watched recently…i’m not sure. haha. i have the motherload of all cupcake projects. 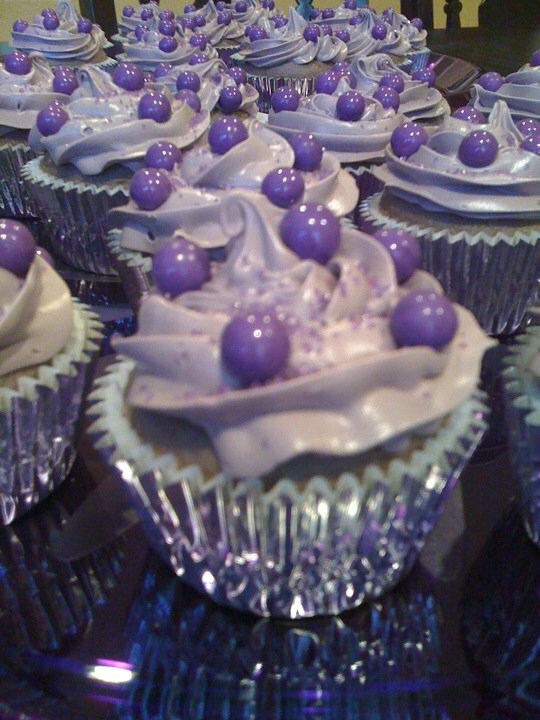 150 cupcakes with purple high heels. this was the best decoration i saw online, but i don’t know if that’s edible…if it is, then that’s one TINY BRUSH being used to make that zebra print on there! that purple/silver combo is one of my favorite color combinations. this picture looks like it came out of a magazine. i love following michelle’s facebook because she bakes and makes these amazing creations that i’ve either never heard of or never tried…like PIG CAKE! i have known michelle for about 10 years now. back when i was 19 (now you all know my real age), i went to a valentine’s dinner with my mom, aunt, and grandmother. a few days later, my friend, grace, told me that michelle saw me at the dinner and wanted me to join the 2001 MISS NMI UNIVERSE pageant. first reaction: NO. second reaction: WHAT!? third reaction: take grace with me to watch “miss congeniality” with sandra bullock to see what this beauty pageant business was about. fourth reaction: if one of the most beautiful women on the island tells you to join a beauty pageant, you take it as a great compliment and you join it. i think all of us looked at michelle as the women we wanted to be-she’s so elegant and feminine and classy. she was engaged at the time and would tell us stories of her then-fiance-now-husband and all the sweet things he would do for her or surprise her with. we were just a bunch of giddy girls every time michelle told us stories. i loved it. i loved that year. now michelle is happily married with 2 beautiful daughters. she’s such a beautiful fairy tale. ❤ there’s my little story and picture inspiration that michelle kindly allowed me to post! thank you, michelle! 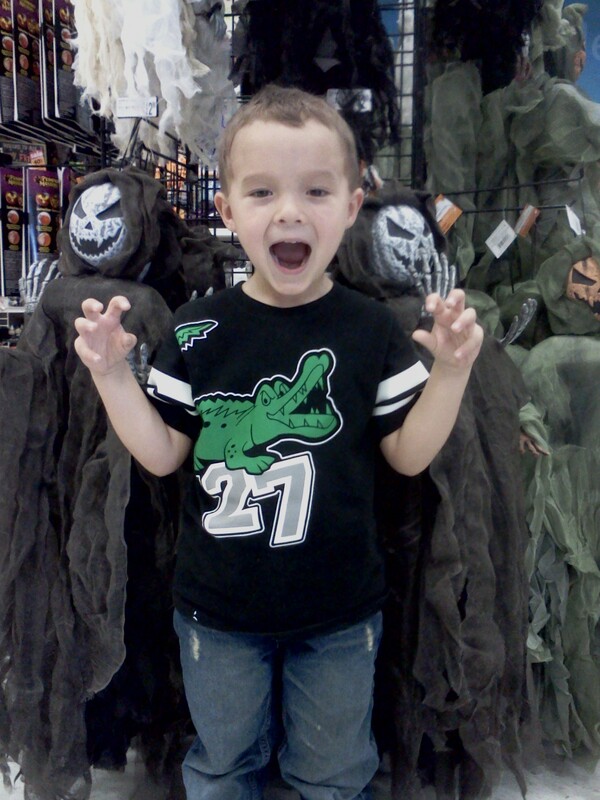 i always have fun when my nephew poses for pictures and gets creative! 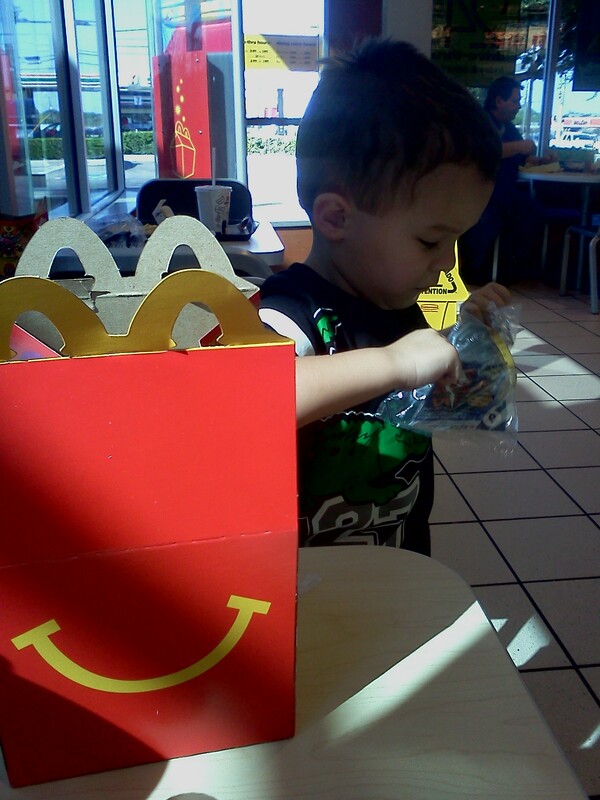 my mom told me that i needed to take my nephew on a mc donald’s date…well, she told me this months ago…but better late than never. besides, he knew it was going to happen. there you go, mom. proof that i have completed my task. 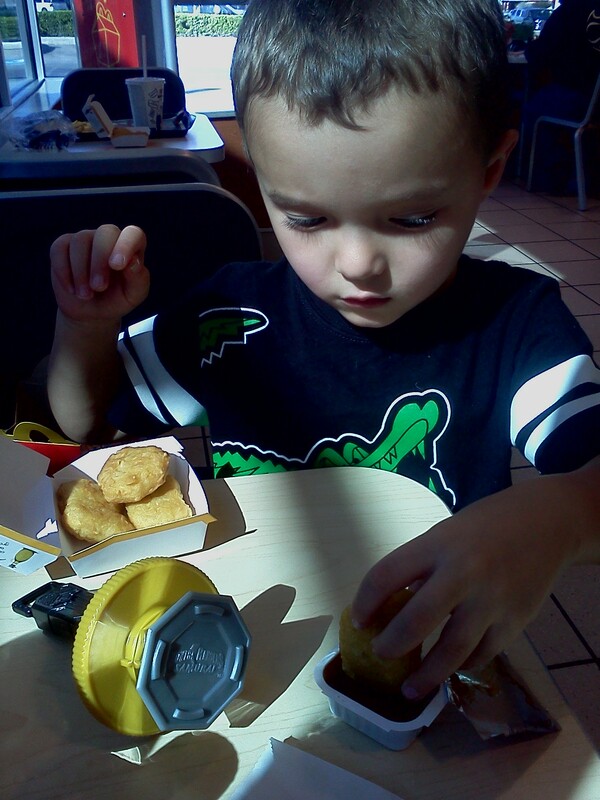 he needs about 5 more years on him before i take him out to a dinner date like you want me to do. i can handle him in any store and any fast food place, but NOT in a restaurant. not yet, at least. all my supplies were brought to you by wilton. it’s a good thing i am starting early on this project because i don’t like the first run i did on the shoes. i want embellishments on the shoes, definitely. the silver powder didn’t show up how i thought it would. 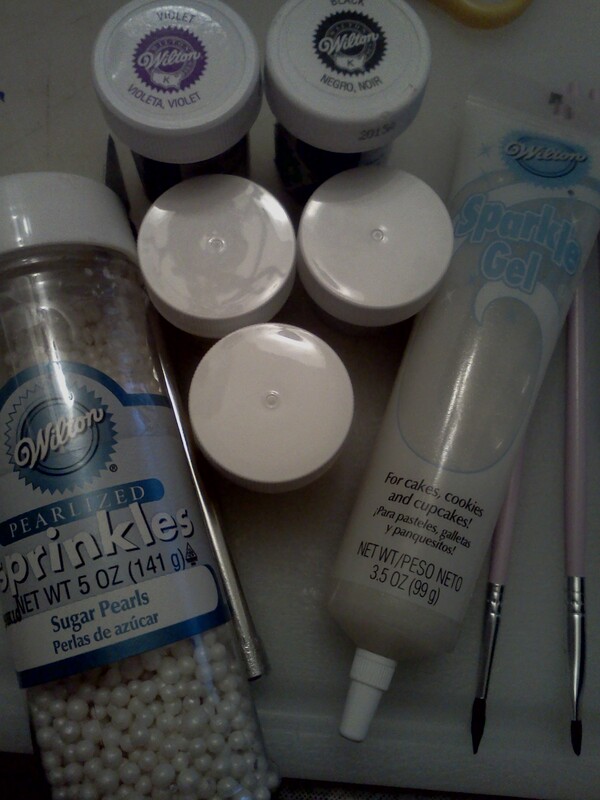 the pearl sprinkles will not be used on the shoes because they just don’t look right. there will be some painting, but i also want BLING. hopefully there is such thing as edible crystals. little edible crystals. 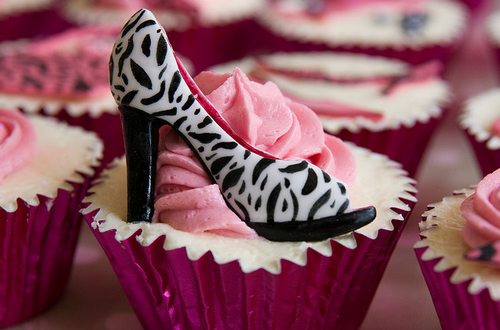 i could make these shoes look spectacular with NON-EDIBLE supplies, but i’m too scared that someone might take a bite into the decoration on accident. 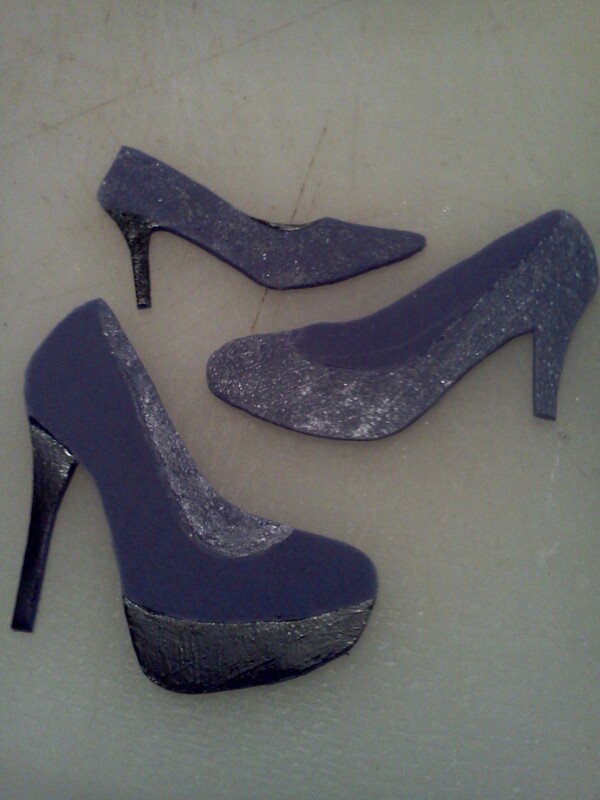 i’ll do more decoration research before i decide on how to decorate the shoes. 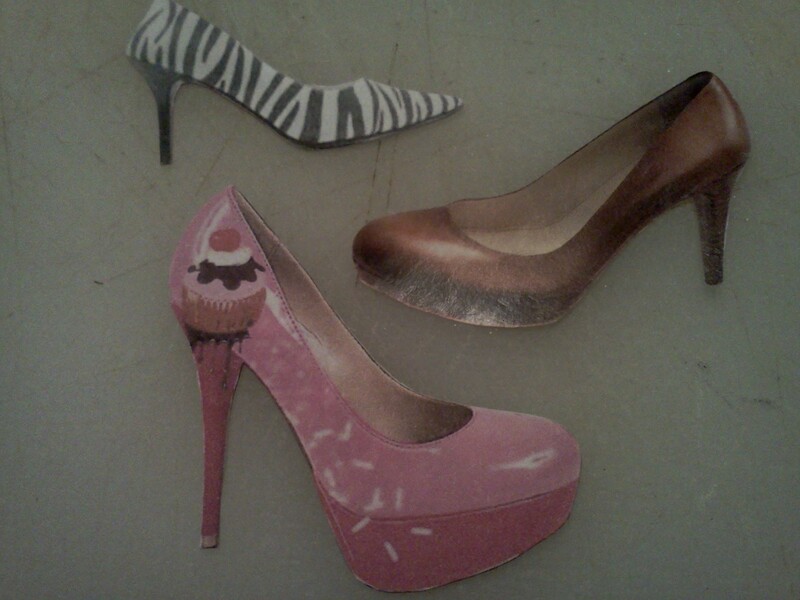 for now, i made 4 blank cut outs of each shoe because i dyed and rolled out a lot of fondant and i didn’t want to waste it. i thought that was just a graphic until i found out that it really is a shoe….that costs about $530. woooooo! 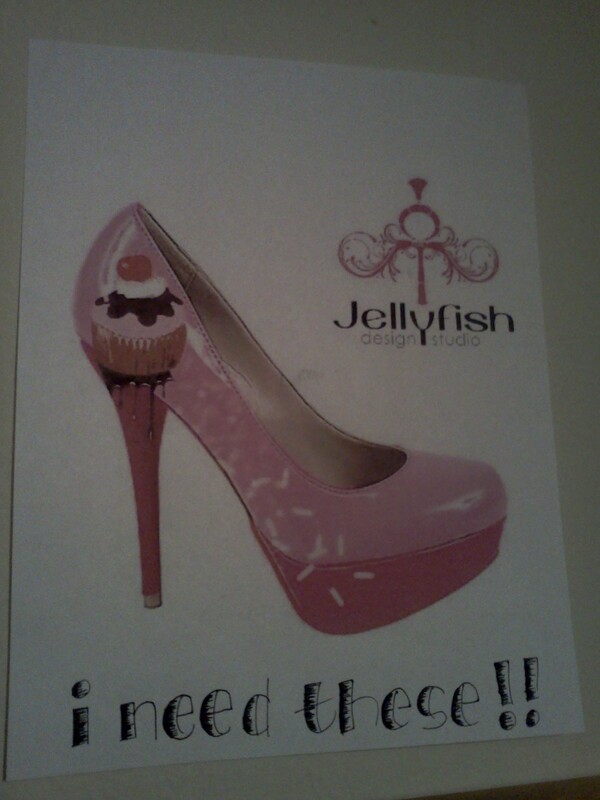 that brand, jellyfish, sells hand painted shoes and accessories that are out of CTRL. they’re so cool, and that shoe is just insane! my next few weeks are going to be jam-packed with tons of fun and work. parties. weddings. the state fair of texas. TAYLOR SWIFT! pool league. 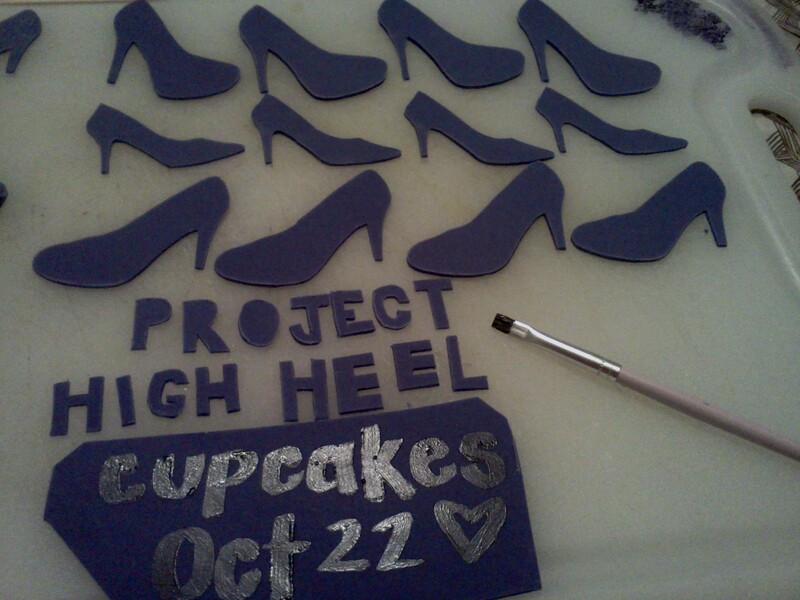 project high heel cupcakes. business training. the beginning of the holiday season. where has the year gone!? 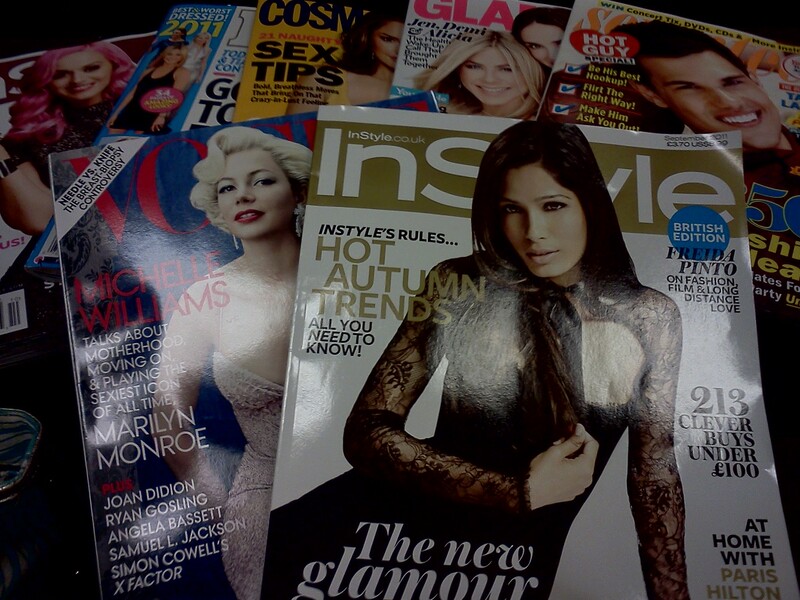 i wish i blogged earlier this year so i could read back on how the past 9 months flashed before my eyes. this has definitely been the busiest year i have had to date. “time flies when you’re having fun.” wow, it’s so true. i have many, many people to thank for that. and that leads me to my next paragraph. next year is going to be big. it’s going to be my year. it’s not so much the part about being the big 30 (although it’s not all that bad), but more because all good things will happen. and i’m excited. i don’t think i’ve ever been this excited going into the next year as i have been lately. i thank all my friends and family for their support in the decisions that i make and have made. This entry was posted in baking, children, crafts, cupcakes, family, fondant, friends, frosting, high heels, icing, Michaels, papyrus, shoes, Wilton. Bookmark the permalink.